Hello, everyone. 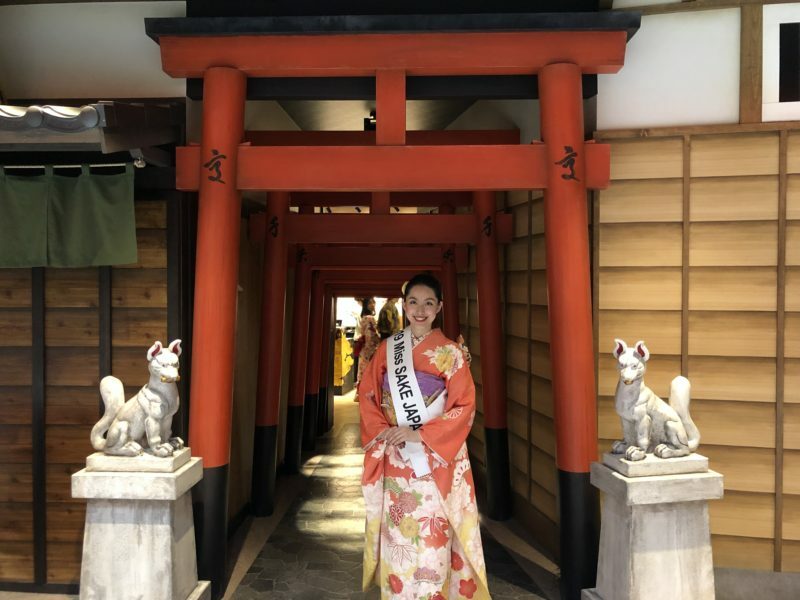 This is Sae Haruta, 2019 Miss SAKE Japan. 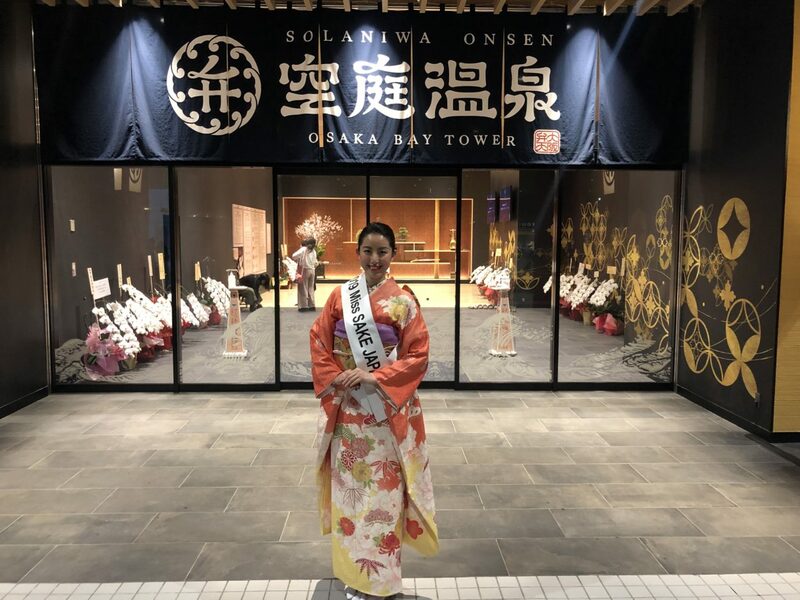 On March 30, I participated in the talk show at Solaniwa Onsen in Osaka Bay Tower. 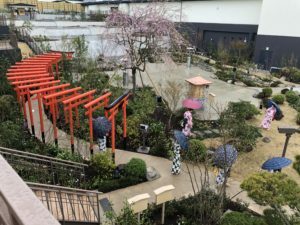 Solaniwa Onsen is the largest onsen-style theme park in Kansai area which was opened on February 26. 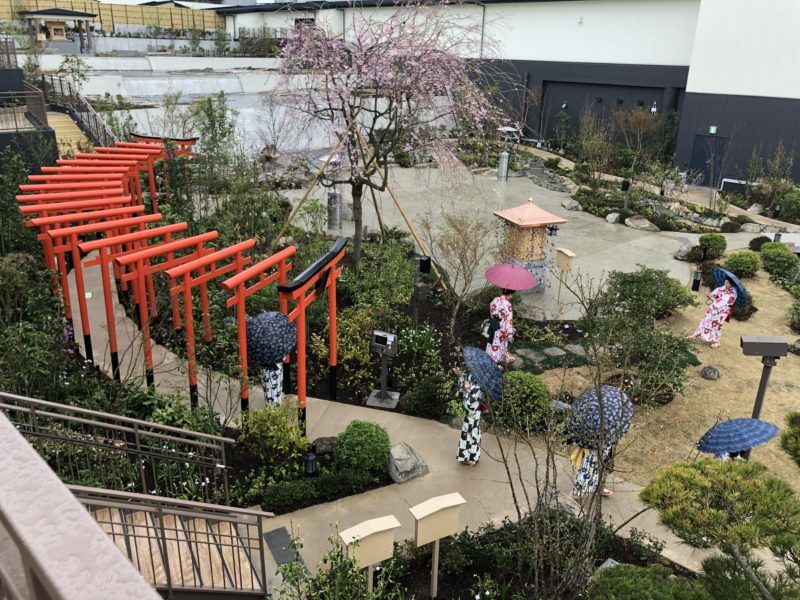 Solaniwa Onsen was built based on the Azuchi-Momoyama period. Speaking of the period, it is an era when Hideyoshi Toyotomi achieved unification of the whole country with a basis called Osaka Castle. Although the era had continued only for 30 years from 1573 to 1603, people enjoyed gorgeous life during that time. At Solaniwa Onsen, many ideas have been made to reverse the image of the hot spring facilities so far, and you can feel as if it was a time slip during the gorgeous Azuchi Momoyama period. 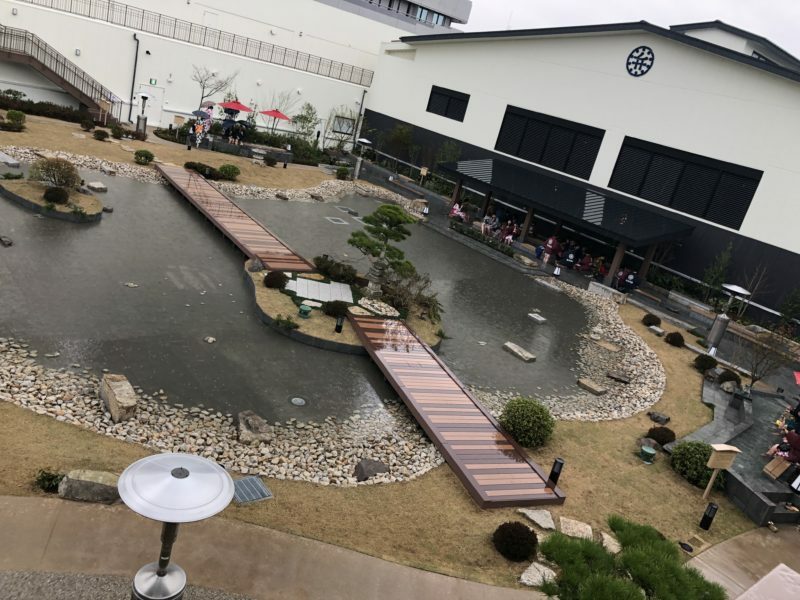 There are a total of 9 hot springs, including a garden-view bath that can heal your fatigue while looking out at the approximately 1,000 tsubo Japanese garden without the noise of the city, as well as relaxation facilities such as bedrock baths, beauty treatments and massages. There are many mechanisms for men and women of all ages, including restaurants and bars. This time, I participated in a talk show at a bar, which is located on the main street of the product sales and food area. At the talk show, we invited Mr. Takumi Itozaki, a member of the food and beverage group, to talk about the Miss Sake Final Selection Committee and the enthusiasm for the future, and introduced two types of Japanese sake. One of the sake is called Yusura, which is from SUDOHONKE in Ibaraki prefecture. Another one is called Shitihonyari, which is from Tomita Shuzo in Shiga prefecture. 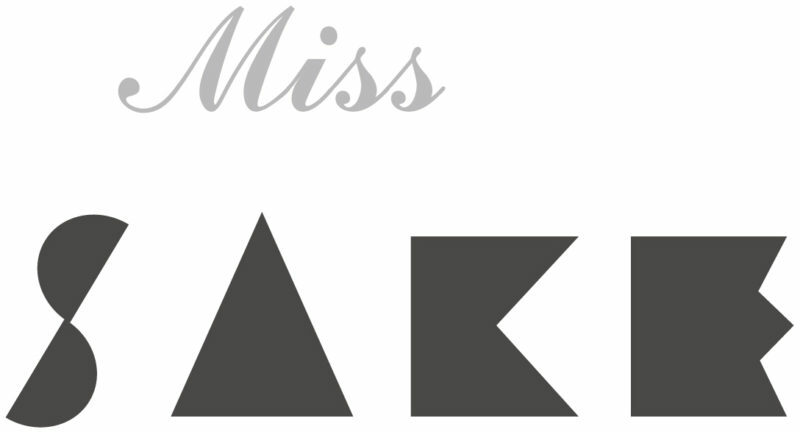 After the final selection meeting, this was the first time for me to talk about the feelings and enthusiasm for Miss sake in front of many people. 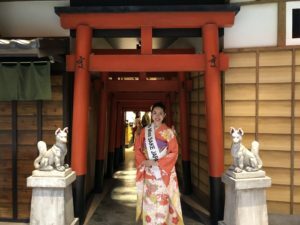 I felt the gratitude to be able to spread the charm of sake of all over Japan and the mission as 2019 Miss SAKE again. 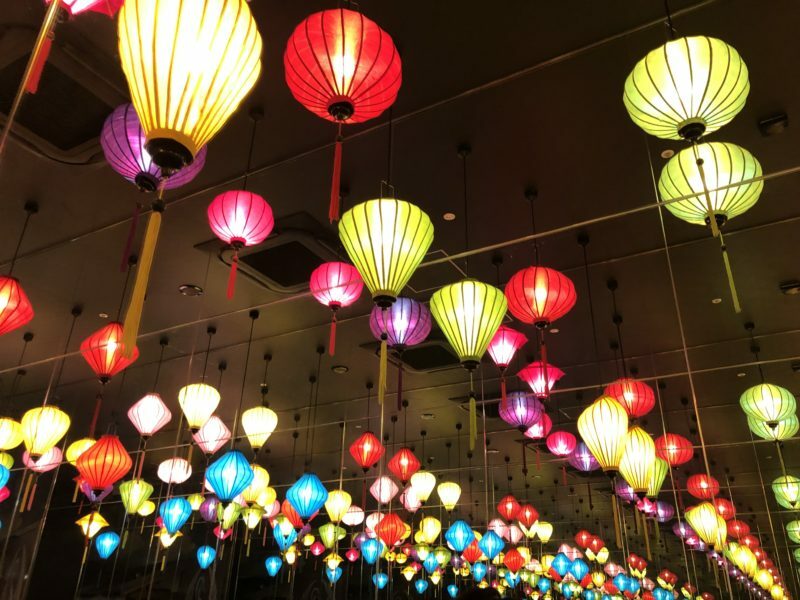 Through a lot of learning, I will try to move the mind of many people who will meet from now on. I extend my appreciation to all the people involved in this talk show.